While designing the mechanism of the direction changes (possible thanks to the movements of the joystick to the left or right), the makers used the natural propensity of the human body to bend into the direction, where a person intends to go in a given moment. 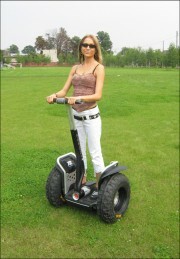 That is why driving Segway is mostly based on intuition. 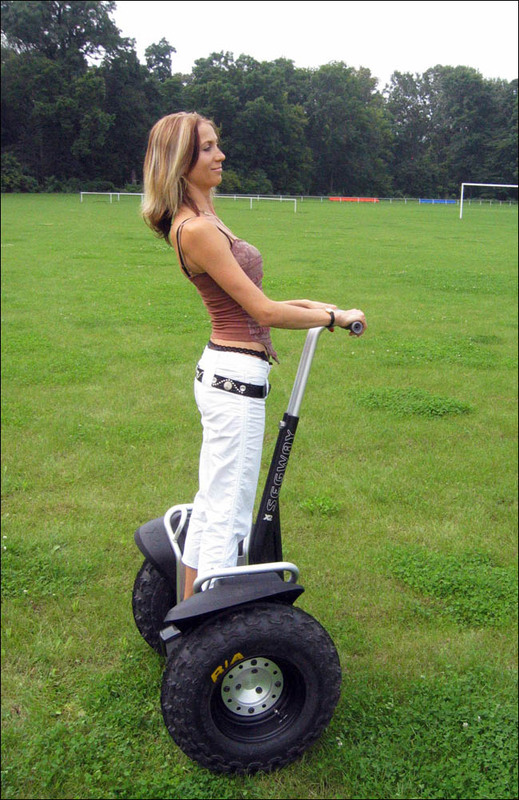 Being a vehicle of the second generation Segway® X2 is equipped with modern steering system designed according to LeanSteer™. Thanks to the cordless controller InfoKey™ you can trace without delay several parameters like speed, distance or the battery level. InfoKey™ also allows to activate the alarm. 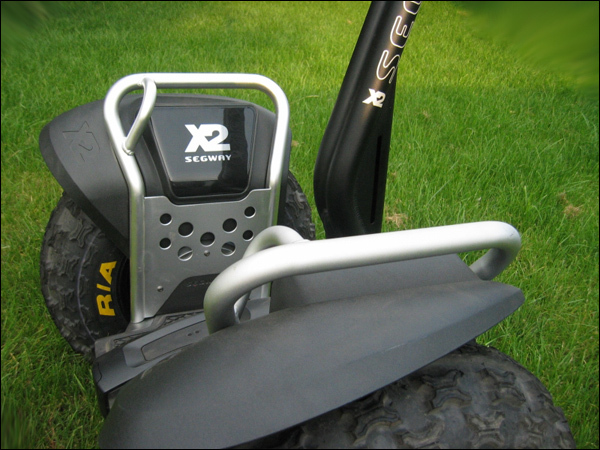 Wheels of the cross-country model X2 have been designed to ensure the comfortable and safe drive on various surfaces (uneven areas, gravel, grass, sand). 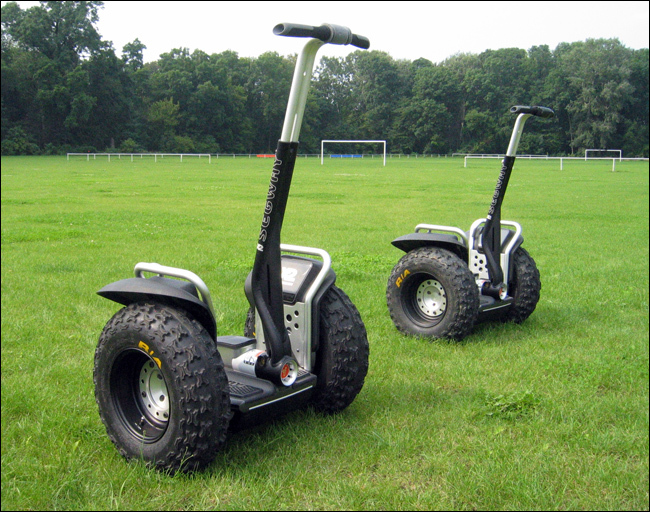 Special software modifications together with a dynamic stabilization, wider tires and higher placement of the platform result in the comfort of driving along furrows, stones and even smaller hills. 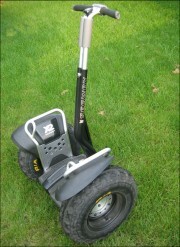 Two lithium-ion batteries of Segway® X2 are based on SaphionR technology. They allow to drive for as long as 19 km. 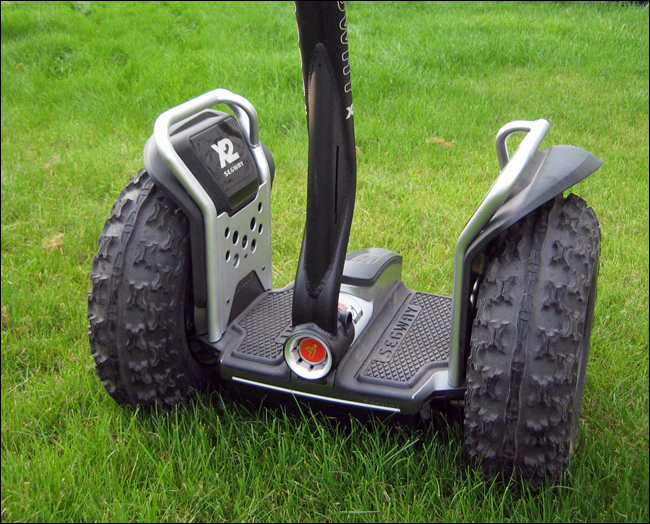 Of course the maximum distance without recharging the batteries depends on various factors, like driver's weight, driving style, landscape, even the weather conditions. 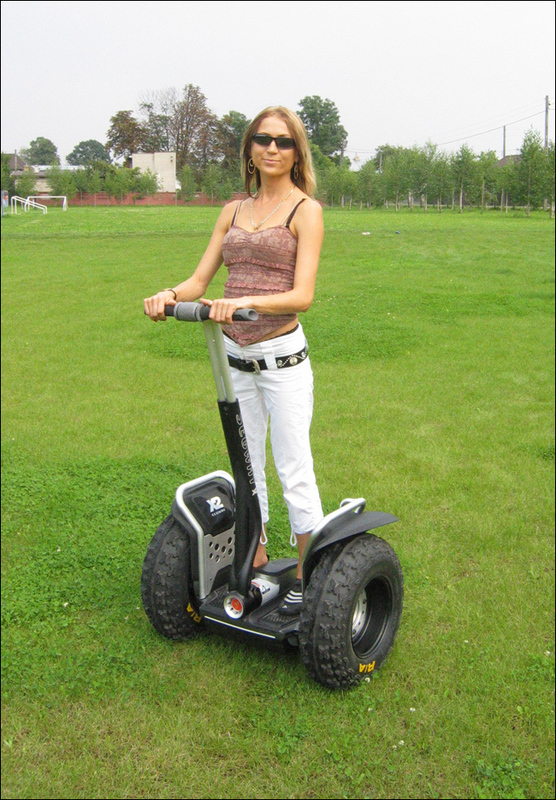 Characteristics of this model are also scratch-proof bumpers and Cargo system mounting. 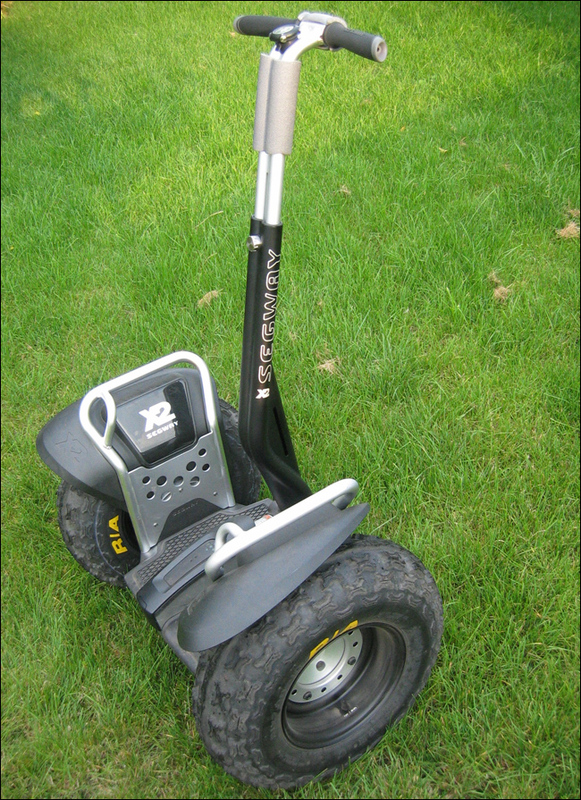 Placing Segway® X2 into the car is enabled by specially constructed steel grips. So, if you are willing to a breath-taking drive, we can provide you with a good adrenalin boost. In sum - driving it is the ultimate pleasure !